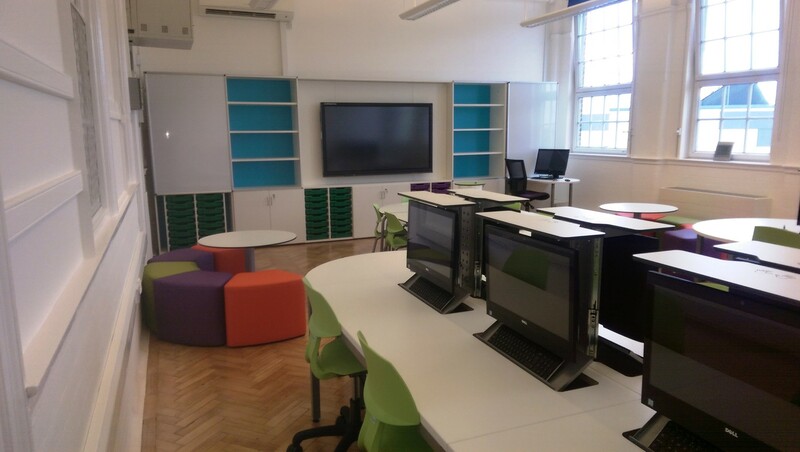 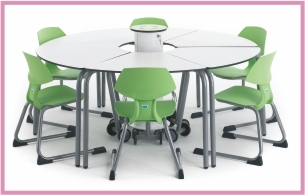 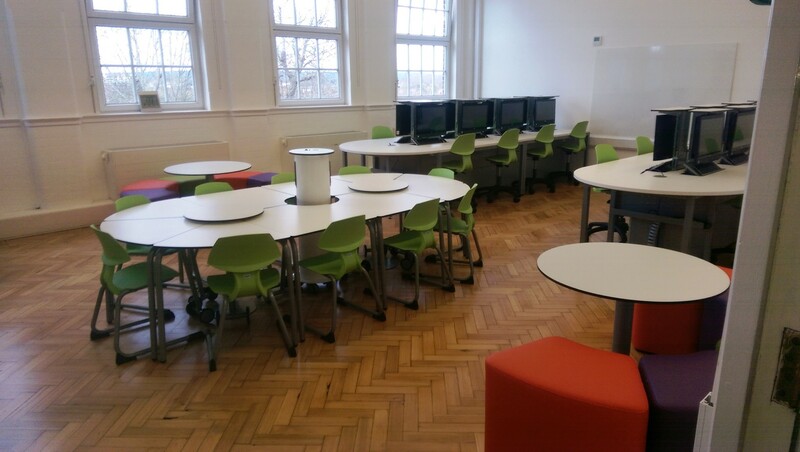 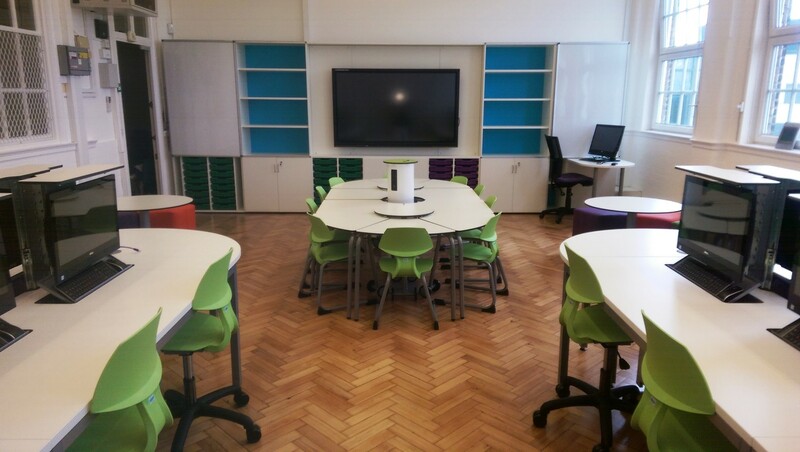 zioxi worked with Park Lane Primary School in Wembley to provide a furniture solution for their refurbished IT Suite. 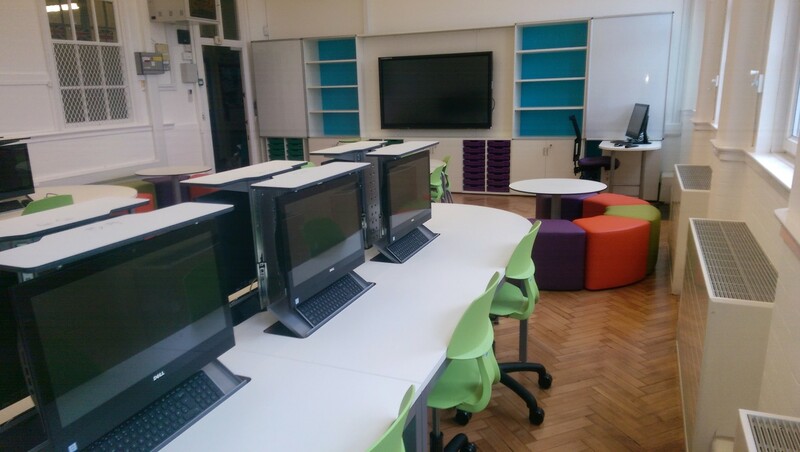 The school wanted to convert the very static IT Suite to became more of a multi-functional mutli-media space, where the students could use a variety of mobile devices as well as fixed PC’s. 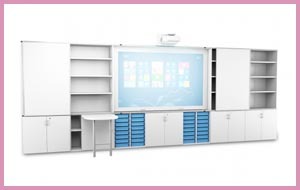 At one end zioxi installed a TeacherWall with brightly coloured back panels and sliding whiteboards. 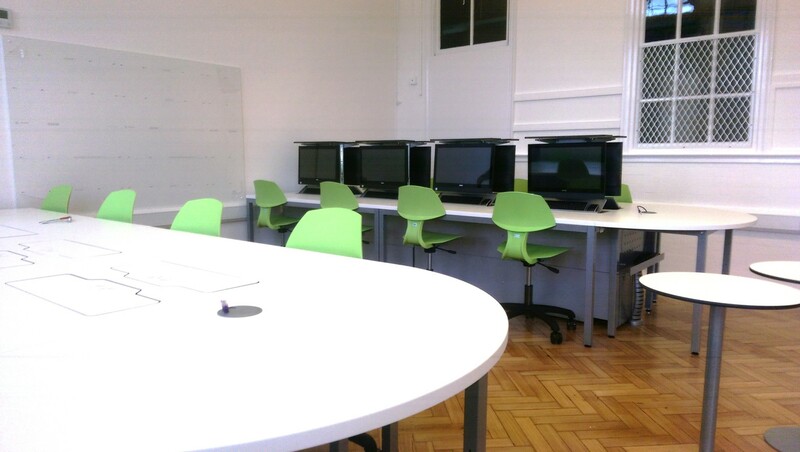 For the fixed PCs the school chose to house these in a zioxi M1 desk which was designed especially to fit eight computers. 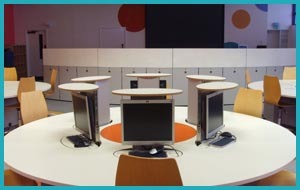 The M1 design gives total flexibility allowing the computers to be cleared away creating a open worktop for BYOD.